Our new AWIHL site is live! 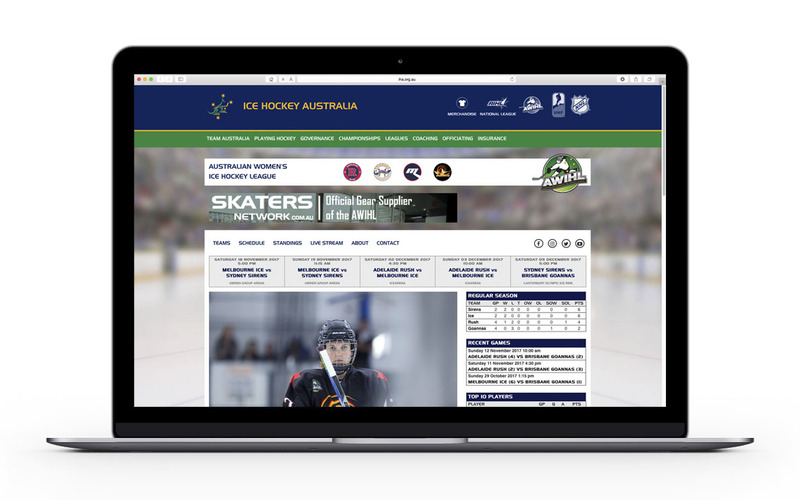 Ice Hockey Australia are very proud to announce the launch of the new AWIHL website. Many months in the planning has seen it come together to be the go to place for all news and information for the Australian Women’s Ice Hockey League. Each team in the league has their own page within this site giving visitors a one stop shop for the AWIHL. “It is very exciting to finally see it all come together after the efforts and planning that has gone into getting it off the ground” says IHA Women’s Director Kylie Taylor. Intricately linked to the eSportsdesk AW stats, all information on games, players, scores and stats can be accessed through this site. As well as direct links to all the team social media outlets. “As a League, we see it as a very valuable tool in our plans to secure a league sponsor who wants to partner with us on this very exciting journey, in a red-hot environment that is women’s sport. “Phase two of the of project will begin shortly with the designer which will see a Roster page added to each of the four team pages where you will be able to see player profiles and individual player stats. Also built into the design are three tiers of advertising space, giving each team the scope to offer this to current or potential advertisers,” said Kylie. You can follow the AWIHL on Facebook, Instagram and Twitter and see all the games this season on live stream.